When I’m in a rush to head out the door, I don’t always have the time to straighten or curl my hair to perfection. I have such fine hair that unless it is curly, I struggle to maintain a style in my hair from one day to the next as it kinks so easily when I pop it up to sleep. My hair is also very greasy by nature and I often find that it there are some days where I don’t need to wash the rest of my hair but my fringe and roots are looking quite oily. For those days, I just need to use a little dry shampoo and get my hair back off my face. 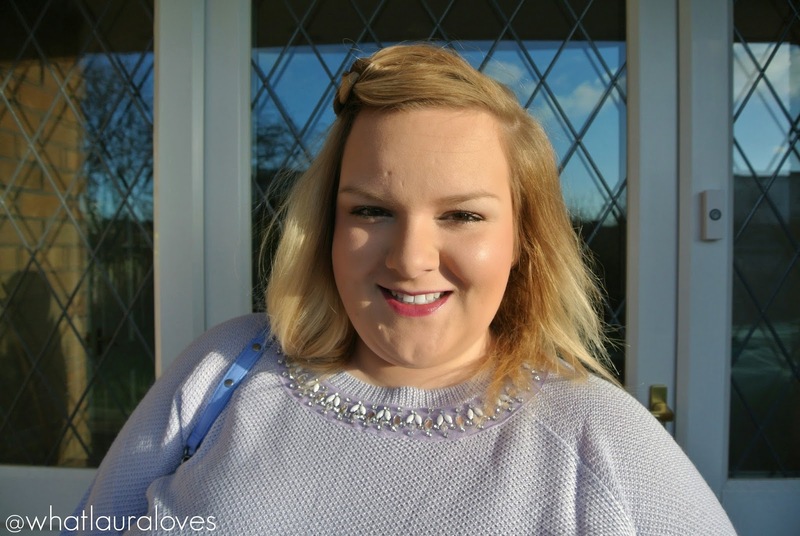 Today I’m going to show you three quick and easy hair styles that you can do when you’re in a rush to go out or for when your fringe or bangs are looking a little greasy. These hair styles look good on first day hair but even better when your style is a little more lived in as it helps to create more texture and grit for the style to hold on to. The first style is a braided quiff which can be done on the majority of hair lengths except for the shortest hair styles. Simply part your hair far over onto one side of your hair and take a chunk of the front section going across your face. Back comb slightly at the root for added volume and push the hair up and over the top of your head so that it creates a bump. This will act as your quiff but rather than going back over your head it is to the side. Then divide the hair into three chunky sections and starting at the end of the quiff, braid or plait your hair under itself in a Dutch braid. 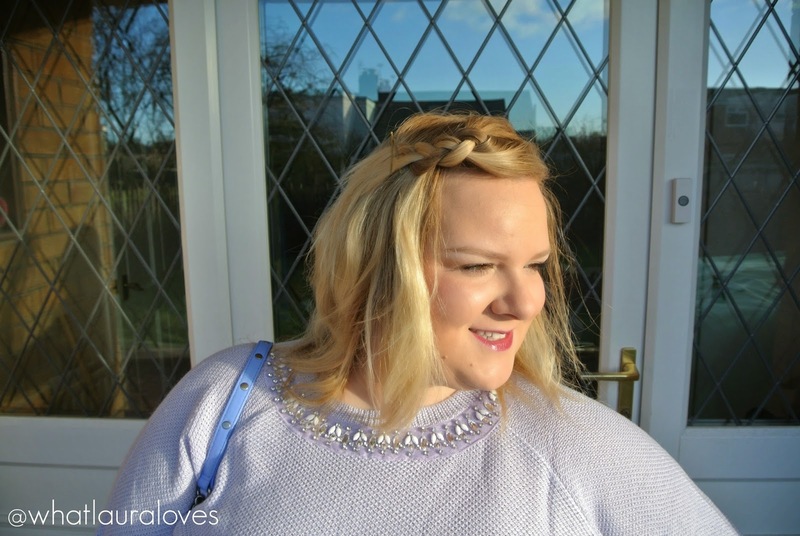 Plait as far back as you would like and then pin the end with a bobby pin or hair grip. Gently tease of the braid so that it is big and chunky like I have shown below then ruffle your hair a little and finish with some hairspray. 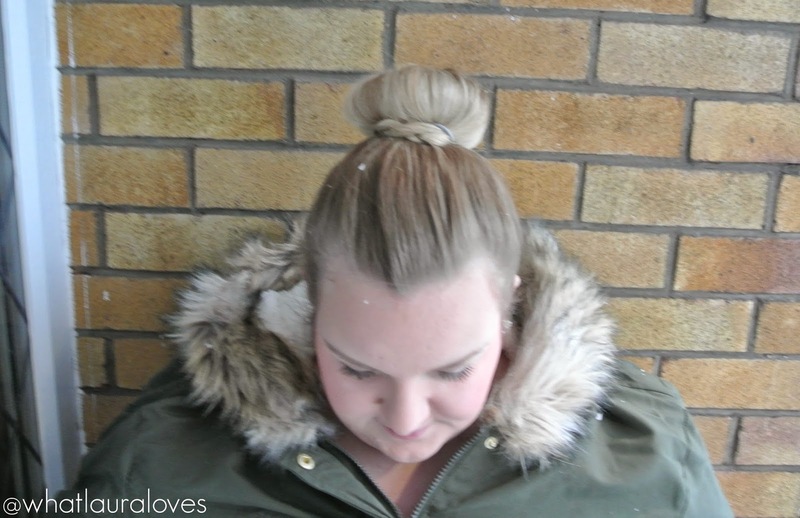 The next look is the braided bun which looks better the longer that your hair is. Simply pull your hair up into a high pony tail and pop on a hair doughnut and fold your hair over the bun ring, securing it in place with a hair band. Rather than pinning the excess hair around the bun, split it into two separate sections, plait them and then wrap them around the bun and pin them into place. Finish with a halo of hairspray to ensure it stays in place all day. If your hair isn’t long enough to plait after it has been taken over the bun ring, there are faux hair plaited hair bands that you can get that you could use to put over the bun however if you do use one of these, make sure it is a damn good match for your hair and use lots of hair spray to give your hair a shiny look. I advise this because generally those plaits are made of synthetic hair which has a shiny, slightly plastic appearance and if you don’t take a little extra time to really make sure it blends with your hair, it’ll stick out like a sore thumb. This style also looks great if you mess it up a little by pulling sections out and loosening up the hair a little. Its all down to personal preference but in my opinion, this style looks so chic and pulled together even though it requires such minimal effort. This final look works on the majority of hair lengths too and the great thing about it is that you can do it on hair that is straight like mine is here or it looks even better on curly or wavy hair. 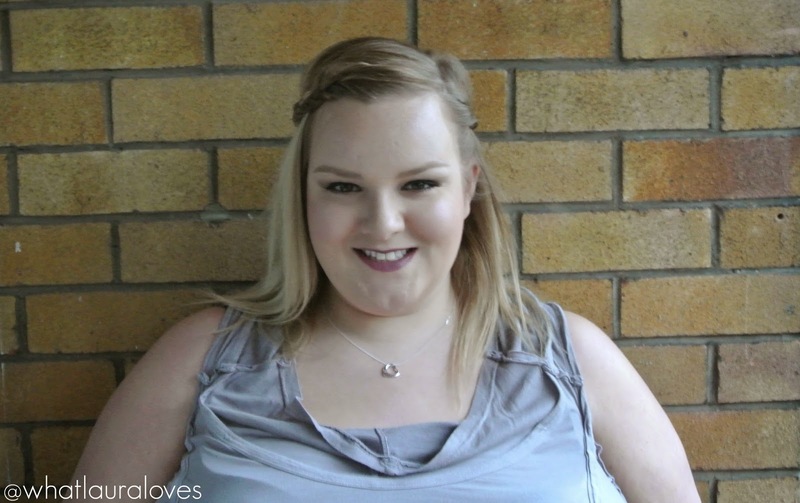 To create this look you can either move your parting or keep it where it is depending on what you want your hair to look like (it works great either way, I have a centre part now and love this look on my hair now!). Simply take the front section of hair on each side of your parting and braid it backwards before pinning it to either side of your head. Either leave it looking neat or ruffle your hair up a little to create that lived in look which is particularly great if you are wearing this with wavy hair- very boho! Finish off with a spritz of hair spray to keep it all in place. This style is great for if you want to get your hair out of your face but still want to wear your hair down. I like to wear this style a lot when I’m wearing a bobble had as it ensures my hair sits well under the hat but when I take it off, perhaps when in a restaurant or when going into someone’s house, my hair looks great underneath. 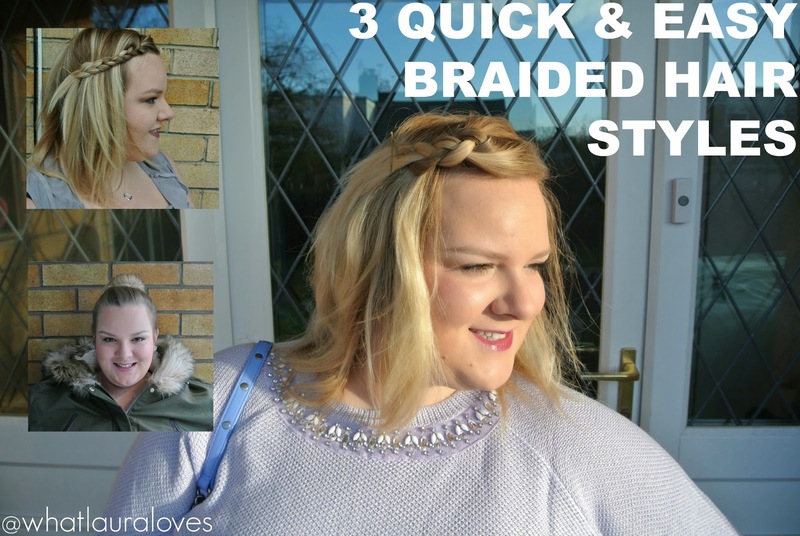 As promised, those are three quick and easy hair styles with plaits that most people can do. They’re great for busy mums with mid length to long hair, girls going to school and twenty somethings rushing out the door to uni or work. What are your favourite go to hair styles? Recently I am total into braided hair styles. Thank you for this inspiration. Such pretty styles! My hair is short now mainly because I had no skill in styling it long! Of course seeing this makes me inclined to grow it again.